High mountain oolong (gāo shān wū lóng chá, 高山乌龙茶) almost always refers to a rolled oolong tea grown in Taiwan at a height of more than 1000 meters. Beyond that, it’s really a pretty vague description. As I read somewhere recently, calling tea by a name like this is something like calling a wine, “red wine from a field near a lake”. Actually quite a lot of tea is marketed without even the general style of production or the mountain name included, an unfortunate circumstance for us tea drinkers! Of course, this lack of information neither labels a tea as likely to taste delicious or common, so it is up to us to learn more. My best guess about this tea would be that it’s a Qīng Xīn cultivar (青心) from Shānlín Xī (杉林溪) mountain or someplace nearby, but I definitely could be mistaken. The package lists Nántóu County as the location of origin, which is a prime producer of this style of tea on mountains like Shānlín Xī and Dòng Dǐng Shān. At my first inspection, the leaves seemed rather broken and small, but after some infusions, I discovered quite a few full leaf sets with long stems. I wonder, actually, if the broken leaves have more to do with the small sample packaging rather than the tea itself. Fair warning: this tea was sent to me by Teavivre as a sample. When a tea is labeled as “High mountain oolong”, I usually don’t expect that much from it. Way better than any bagged oolong, certainly, but lacking in the nuance and intensity of a tea worthy enough to have been given a name. 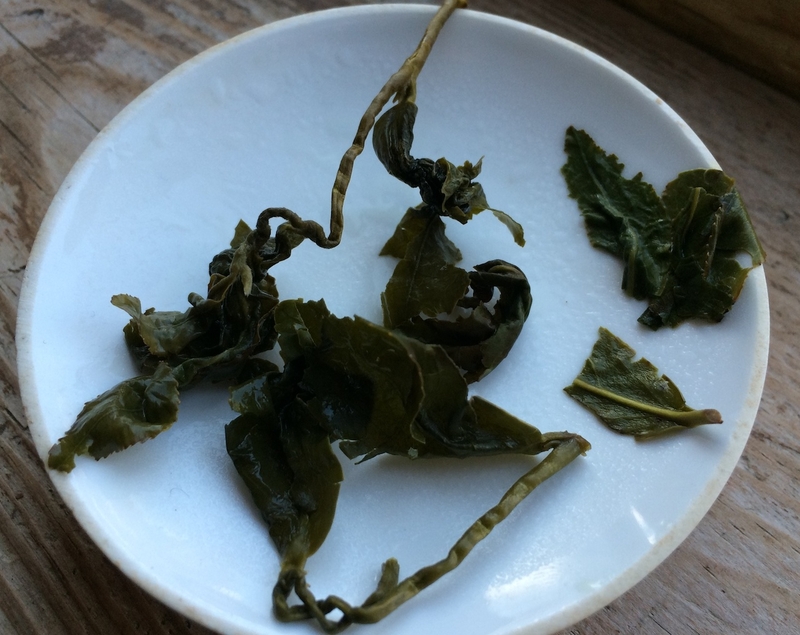 My experiences infusing this oolong fall within that category. The flavors were varied, but light, and the leaves opened up rather quickly, so the number of good infusions was somewhere around two or three. Just to be sure, I infused a new packet with exactly 4g of leaf, no tea dust, and a fairly precise timing of around 1.5 minutes. The results had a pleasant energy, and were not without a good flavor, but a somewhat uninspiring aroma and flat mouth-feel. The aroma of the wet leaves is honeysuckle and rose, with a little bit of raspberry sweetness, but it doesn’t seem to linger. The taste reminded me of eating the wakame seaweed out of miso soup or water chestnuts: a thin sweetness on top of the water. So: for me, a good daily tea but not something I would much want to show off. On the other hand, much better than many other teas I’ve had with the same name. With tea, it all depends on what you are looking for! 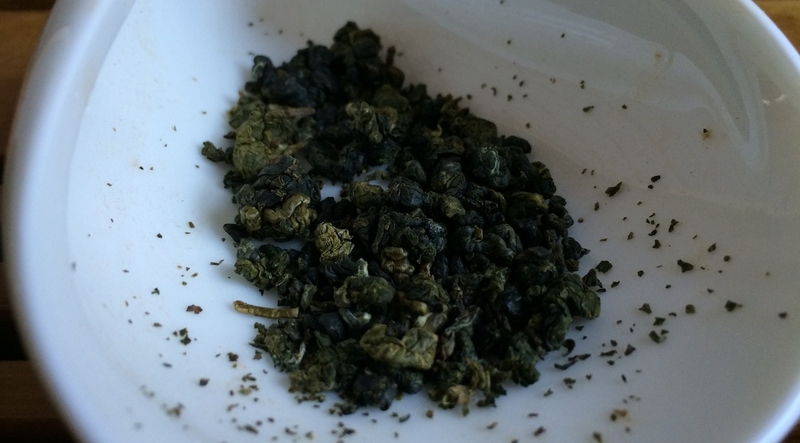 This entry was posted in Tastings and tagged gaoshan, oolong, taiwan on February 7, 2014 by payton. email me your address. I will send you some good stuff.